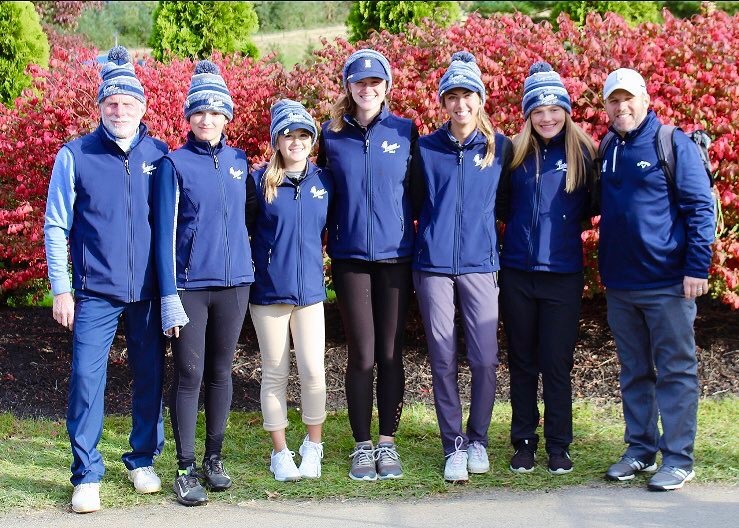 Two days ago my high school team competed in the AAA State Championship at Heritage Hills Golf Course in York, PA. I was paired with the current AAA individual state champion, Caroline Wrigley. I was excited to have the opportunity to play with her so that I could see how my game matched up and how she handled the course. It was awesome to play with her, and she shot an even par round of 72. The conditions on Wednesday was cold, windy, and firm, which except for the “firm” part is normal PA weather this time of year. I was prepared for the conditions after a few good practice rounds. I shot 81, but it was about the highest I could’ve shot – I played fairly well and had a lot of good shots, but I wasn’t able to get up and down very often and couldn’t capitalize on most of my birdie opportunities. Just one of those days where I was proud to grind out a score. It was cool to have the lowest round from all girls from Erie at States, and the fourth lowest score from all girls around Pennsylvania. It was important that I learned what I could work on for the future and I had a really fun time playing the course and making new friends with the girls in my group. As a team, McDowell finished 4th in the state out of the six teams who made it through district and regional qualifying. I was proud of where we finished and although we are losing our #3 girl, Sanibel Stravinsky, to graduation I know we can put in the work to make it back there next year! It was an amazing first time at states and I’m glad I got to experience it with my teammates.